In 2011, Paul Solman got a first-hand look at how Elmo was exercising self-control to save money. Vicki Hoefle tells you how to get your kids to do the same. So how do you make your children into savvy consumers? Here now is Vicki Hoefle, a parent educator from Middlebury, Vt., with tips from her “Duct Tape Parenting” strategy about letting your kids learn from experience: give them a small allowance early and let them spend it away. They’ll soon see the pains of losing what they have and the satisfaction of saving patiently for what they really want. Vicki Hoefle: Nearly half of Americans have more credit card debt than savings, according to a 2013 survey conducted by Bankrate.com. How can we change this alarming statistic? The answer is something I’ve been preaching and practicing throughout my career: early education. If we want our children to develop a healthy relationship with money, then parents, caregivers and educators need to take an active role in providing first-hand experiences on the joys of having money and the patience and planning that goes into managing that money. What I’ve learned in my practice is that teaching children to be financially literate can start as early as two years old. If you can trust them not to put the money in their mouths, you can trust them with an allowance. The money they receive, no matter how much, will allow them to feel that they have real purchasing power. 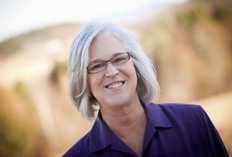 Vicki Hoefle, photo courtesy of the author. Continue increasing the child’s allowance until they reach 12 years old, then cut their allowance in half and encourage that they begin to earn money outside of the home. They can babysit, pet-sit, mow lawns, rake leaves, shovel snow, etc. When they officially reach the legal age to acquire a part-time job, the allowance should be over. The goal of an allowance should be to teach children at the youngest possible age about money management — saving, spending and giving away money. Using money solely as a reward for chores, good behavior and grades will teach that these behaviors result in money gain, but not necessarily the importance of managing the value of that gain. Once the money is handed to the kids, micromanage as little as possible. Part of my Duct Tape Parenting methods stresses the less-is-more approach. Avoid the urge to “helicopter parent,” and let the kids lose or forget their money or blow it on impulse purchasing. Open a bank account and allow them access to ATM cards. Let them drain their account and then take them in to talk to a bank teller; let them see first-hand how money works. Then, watch as they begin to check their balances and learn to budget. If they leave their money lying around, toss it into a “vacation jar.” Allow them to see how money can collect over time, teaching them to be more conscious and take better care of their earnings. Every child will have a unique relationship with money — even before they have access to it. This will come out in the first few weeks after they’re given a weekly allowance. Some will save; others will spend everything they earn each week. Parents will need to learn their child’s money style in order to help them create a balanced approach to money. When a child doesn’t have enough money to purchase that “must-have” item, they will be given the opportunity to exercise patience, to delay gratification and to bypass the urge to impulse buy. These situations will lead them to ask themselves questions: “how badly do I want this?” or “how long will it take me to save up for this?” They will experience three very important “p’s”: purchase, patience and planning. For the most part, kids who purchase with their own money tend to take better care of their possessions. It’s reasonable that parents will want to set limits around their child’s purchasing, but limit the limits. As I say, setting too many limits will keep children from becoming conscientious consumers. Instead, focus on just one rule: they can’t buy candy, for example, or they have to deposit one dollar per week in the bank. Include the children in the discussion so they have an active role in the process. By not focusing on limits, children have the opportunity to exercise making financial mistakes. Trial and error is key for learning how to manage money. It’s also important to remember that you become a smart consumer by actually being a consumer. Initially, five-year-olds are not what anyone would call savvy. They get $5, they spend $5 — almost immediately. But by the time they are 10 and have practiced basic money management, they are much more thoughtful and educated consumers. The responsibility and common sense the children gain by using money is just part of the equation. Their new-found “purchasing power” can also diminish fighting with you in the grocery store, can result in better, more thoughtful gifts for birthdays and holidays, and can almost guarantee they will take better care of their personal possessions (especially if they have to pay for replacing lost items or broken electronics). In conclusion, raising children to be conscious money managers should result in financially independent young adults. That’s good for them, but also for the rest of us since those children should grow up to contribute to the country’s economy in a healthy way — as opposed to what we might expect if they become like so many American adults who, to clean up the cliché, don’t know their assets from their elbows. Paul Solman tries to answer a question or more every week here on the Making Sen$e Business Desk. Please submit them here. Friday’s question is about America’s finances. Vaughan P. — Nashville, Tenn.: Beyond the shutdown, is our government just “sitting” on the catastrophic “news” that rampant government spending (mostly since 9/11) has bankrupted our country? Beyond all of the government budget BS, will we be “broke” soon? Paul Solman: “Broke soon“? Larry Kotlikoff, who appears every Monday on the Making Sen$e Business Desk answering Social Security questions, thinks we’re already broke. Indeed, he entitled a book “We’re Screwed,” only to have the publisher soften it, discretion presumably trumping valor. And Larry is far from alone. Me, I don’t think the word “broke” almost ever applies to sovereign nations, not even to ones like Greece. Countries will always have land to sell, salaries, personnel and services to cut and benefits to deny. To me (and Merriam-Webster) “broke” means “not having any money,” “penniless.” Dictionary synonyms include beggared, beggarly, poor, destitute, dirt-poor, down-and-out, famished, hard up, impecunious, impoverished, indigent, necessitous, needful, needy, pauperized, penurious, poverty-stricken and threadbare. None of these would seem to apply to the United States, would they? Yes, we’re in considerable debt by many measures. But the dollar is still the world’s currency of choice and we can therefore rather easily lower the value of our debts by “printing” more dollars — oodles more. That should eventually boost inflation, which always helps debtors, for the simple reason that they pay back their lenders in devalued currency. Now some would think devaluing the dollar an irresponsible course of action. But we could definitely do it, and quite conceivably will — arguably have been doing it already, in fact, as the Federal Reserve has “quantitatively eased” — lending money to the Treasury by buying its bonds with the several trillion dollars the Fed has created since the Crash of ’08. Moreover, a country can always borrow money — at some price. Even after all it’s been through, Greece can borrow money today, to be paid back 10 years from now, at 8.18 percent. Not that I would lend them a dime at that interest rate. But the world will. So no, I don’t think we’re broke. Will Social Security promises all be kept? Maybe not. Will Medicare cover increasingly less of what’s available from the health care system? I imagine so. Will taxes go up? I’d be surprised if they don’t. And don’t forget economic growth. Given the potential of new technology, our economy could conceivably grow much faster than it has been of late. Just listen to the folks at Singularity University. Faster growth would mean greater tax revenue, and thus a greater ability to pay back what we owe. So, bottom line: is America going to be pauperized, destitute, beggared, penniless? Not so long, I wouldn’t think, as we’re the ones minting the pennies.